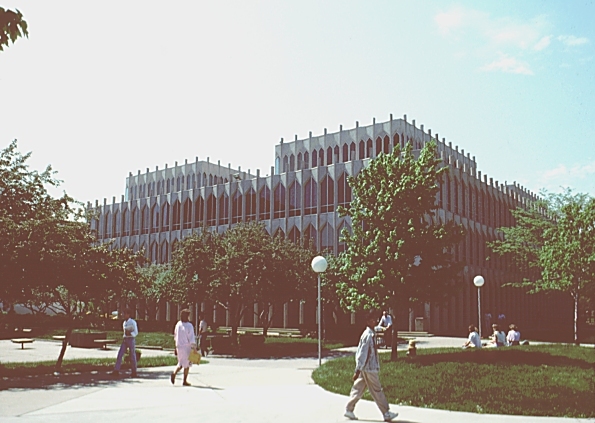 Images of Education Building, Wayne State University, by Yamasaki, 1955-59. Digital Imaging Project: Art historical images of European and North American architecture and sculpture from classical Greek to Post-modern. Scanned from slides taken on site by Mary Ann Sullivan, Bluffton College. 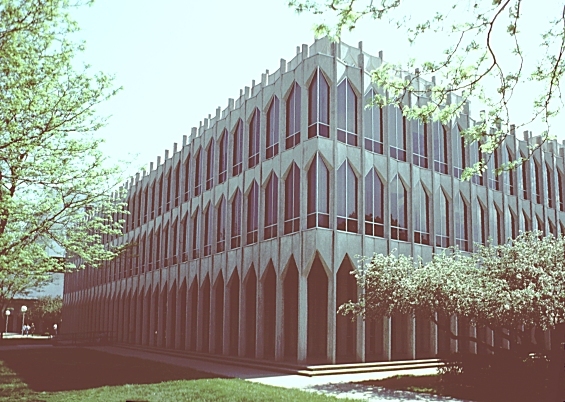 Click here to see the McGregor Memorial Conference Center at Wayne State University by Yamasaki. 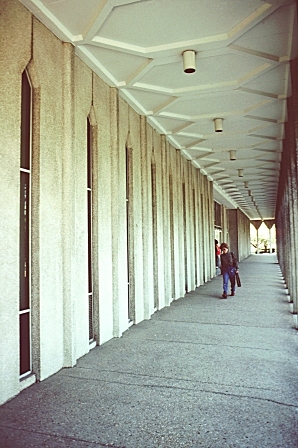 Click here to see the DeRoy Auditorium at Wayne State University by Yamasaki. 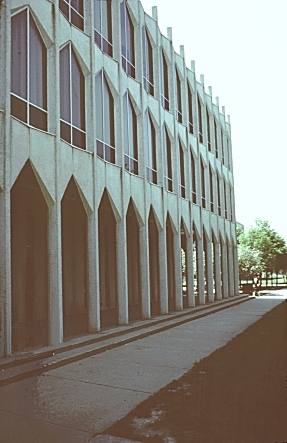 Yamasaki's style is sometimes described as "decorative" International Style. 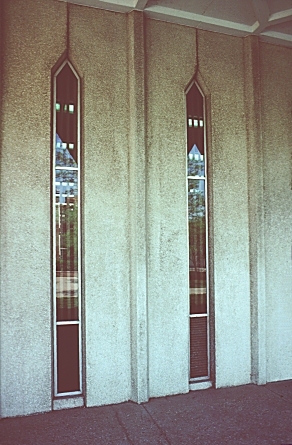 Stylized modern "Gothic" is evident in the pointed arches and windows. 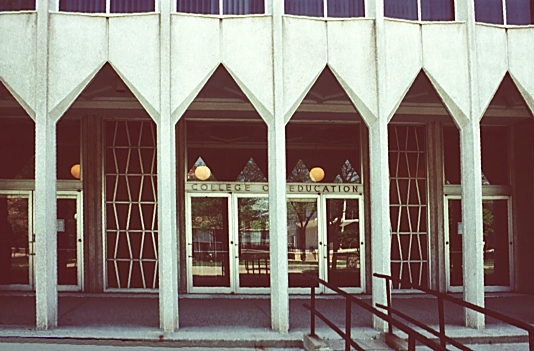 Like the Doge's palace in Venice, the Education Building has a loggia wrapped around it, a convenient addition, given Detroit's hard winters. 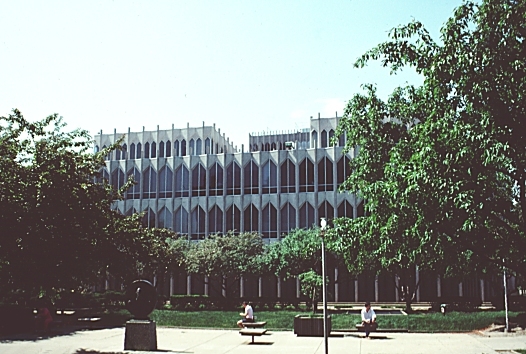 Other works by Yamasaki on this site include: Conservatory of Music (Oberlin College), De Roy Auditorium (Wayne State University), Japan Center (San Francisco), King Building (Oberlin College), McGregor Memorial Conference Center (Wayne State University), Michigan Consolidated Gas Company Office Building, Warner Concert Hall (Oberlin College) and World Trade Center.